…there was a King who lived in a far far away land. One day, he got terribly bored doing kingly things because there were no wars, droughts, famines, or dragons to slay so he decided he wanted to open up a business. He was a self-proclaimed foodie who loved the way sauces, spices and seasonings can have different tastes when married together in different proportions so he opened up Kingly Palette Punctuations…Where Good Taste Comes Easy. He needed help marketing it though so he advertised in the town weekly for advertising firms to help him become the king of the foodies! The king decided to take a chance with the young minstrel and his storytelling ways. 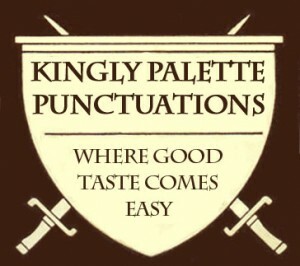 Kingly Palette Punctuations became so successful that the king decided to retire his kingship and franchise his stores. He was last seen at a bar called Calico Jack’s in the Cayman Islands enjoying his retirement. What became of the minstrel you ask? Who do you think took over as king?? Filed under: Business Coach, Business Strategy, Digital Marketing.